So winter is well on its way. What I hear you cry?! Where’s summer gone? Well before we know it Christmas will be here (groan,sigh I hear a few of you cry). Well the beginning of winter is not just about going getting our new winter coats or pair of UGG boots one may be treating themselves to, or even arranging those cosy nights in front of the fire with a glass of your favourite tipple. But before we all worry whether we will be warm enough have you thought about your car and what it needs in preparation for winter? You know the car that will keep you warm on your daily commute when it’s still dark in the morning and when the outside temperatures are comparative to that of the Antarctic (or so it often feels). Boring it may well seem but the importance of maintaining your vehicle's “legs” is imperative, especially in winter. As we all know in winter we see some of the wettest months of the year. I know we often feel like every month is the wettest month of the year in the UK but the largest rain pour is throughout the winter months. A statistic recently published by the department of transport in the reported road casualties found that defective tyres areresponsible for 40% of vehicle related road deaths. **There is also the worry that if your car has defective tyres, you could face prosecution. The Road Vehicles (Construction & Use) Regulations 1986 specify what constitutes a defective tyre. Car tyres are listed in the law as having 7 possible defects. Most car drivers are not aware of the depth of the regulations. If you were stopped by the police and of any of these defects were found with your tyres you could end up receiving punishments for each individual defective tyre. · For each illegal tyre there is a penalty point risk of 3 points per tyre and a maximum possible fine of up to £2,500 for each tyre that is defective. So if for instance you had 4 defective tyres you get actually lose your licence with the accumulation of the 12 penalty points (you would become a “totter” which could see you facing a driving ban), not to mention the serious dint in your wallet from the fine that will be imposed. Imagine having to wait at the bus stop on a cold dark morning to get to work and all thanks to having not checked your tyres meet legal requirements. So, what depth do your tyres need to be in order to meet legal requirements? 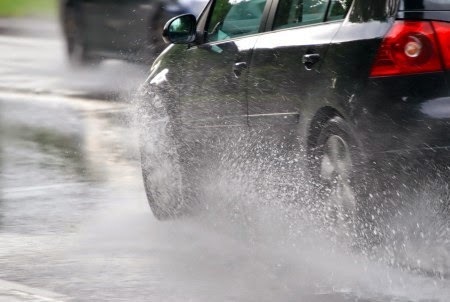 Firstly current UK law requires car drivers to have at least 1.6mm of tread depth on their tyres. 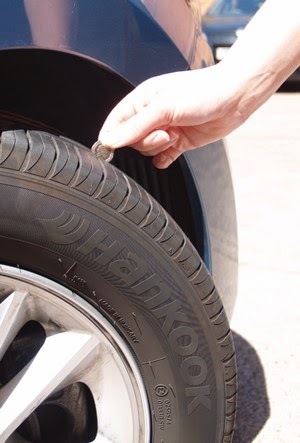 You can do a tyre check yourself by inserting a 20p coin into the main grooves on your outer tyres. If you can't see the outer band of the 20 p when the 20p is inside the tyre groove then your tyre tread is within the legal limit. A defective tyre is therefore a tyre which is found to have one of the above defects present. So think winter, think tyres! · Don’t become a statistic and more importantly stay safe. · Carry out all of the above checks on a regular basis or as it's national tyre safety month in October why not take advantage and go and get a free tyre check at your local tyre service centre. There’s no excuse it's free and could save you a fortune in the long term. Wrap up warm folks and remember your tyres need extra TLC this winter.